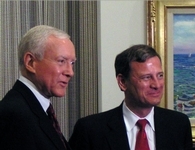 On May 27, 2016, after Trump suggested that a federal judge Gonzalo P. Curiel was biased against Trump because of his Mexican heritage, Hatch said: "From what I know about Trump, he's not a racist but he does make a lot of outrageous statements...I think you can criticize a judge but it ought to be done in a formal way" and said that Trump's statements were not so inappropriate that he would rescind his support. 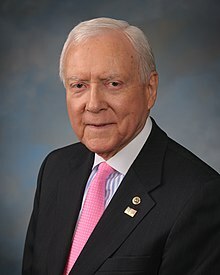 [better source needed] On October 7, 2016, following the Donald Trump Access Hollywood controversy, Hatch described Trump's comments as "offensive and disgusting" and said that "[there] is no excuse for such degrading behavior. All women deserve to be treated with respect." Hatch maintained his endorsement of Trump's candidacy.